Southeast of downtown, this area offers a more desert-like running experience. Great views of the basalt cliffs, Boise Front and the historic Kelton Ramp, a path forged by overland travelers heading down the rim to the Boise River. There’s an access trail from the surrounding residential neighborhoods. The reserve itself is 77 acres and has several trails, with loops of up to 3 miles. The trails are on the north side of Rt. 21. 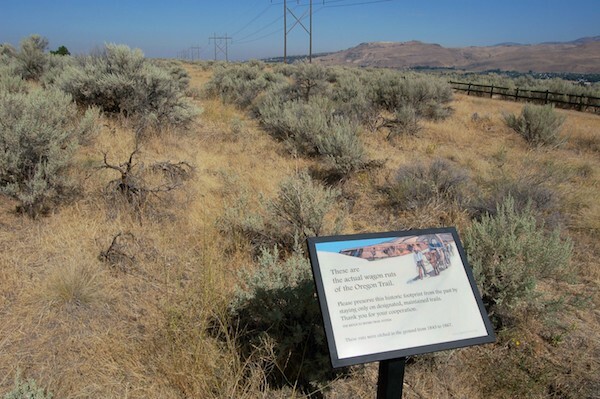 For a longer, more challenging, and rewarding run, the Oregon Trail leaves the reserve and heads toward Bonneville Point, for an 8-mile out and back. The first 0.8 mile is flat, but then it’s a nearly 600 foot climb over 2+ miles, with grades of 6-10% (and then a descent to Bonneville Point!). The main trail starts off E. Plexi Ct. It can be accessed from Oregon Trail Rd. and the Reserve, but it’s 2 miles to the unpaved trailhead. Oregon Trail is 744 foot gain, grades up to 11%. Preserve trails are off Rt. 21; Unpaved Oregon Trailhead is off E. Plexi Ct.